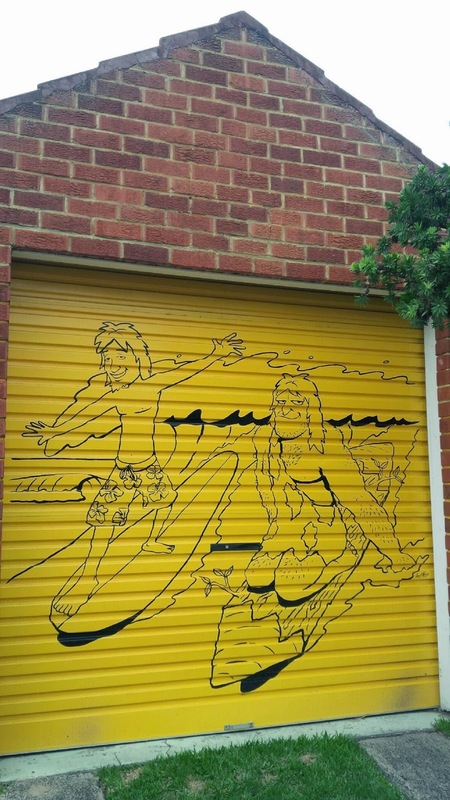 Surfing culture is clearly evident all over Australia. From hourly swell forecasts on local radio to surf shops in every town, to surf camps all over the coast. 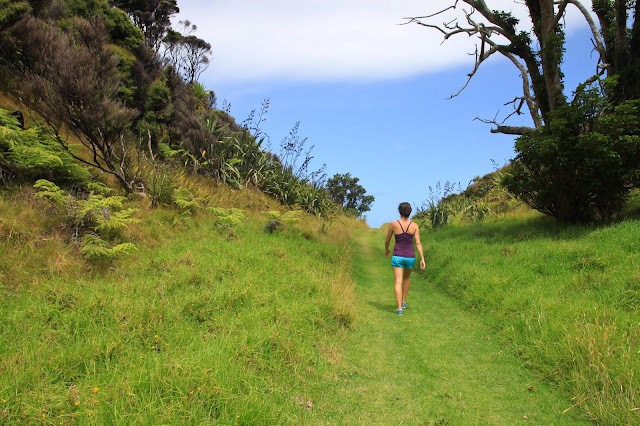 It's typical to see people walking barefoot down the road holding a surfboard, squeezing their board onto the bus, or cruising on a bike with a surfboard rack. 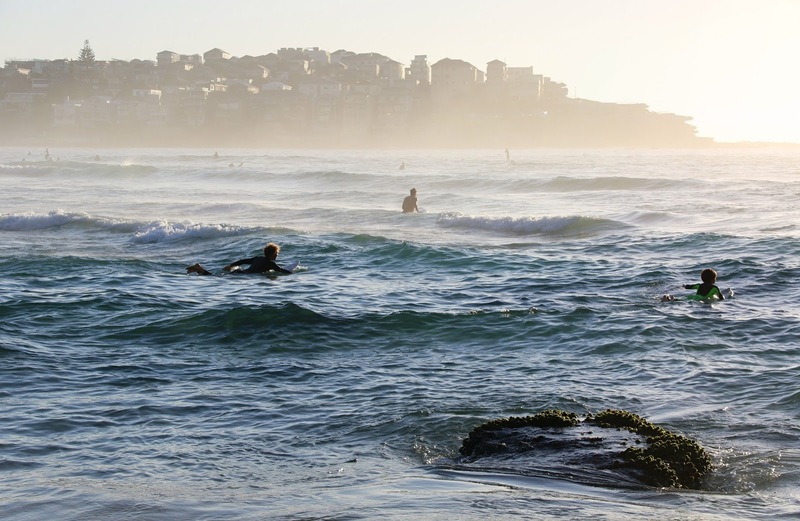 Australians of all ages can be found surfing before or after work/school, or even in the middle of the day. If the swell is good, Aussies are known to play hooky from other commitments. I must note, however, that just like not every Canadian knows how to play hockey, not every Australian knows how to surf. Nevertheless, no one can deny that Australia is surfing. The Aus Open of Surfing takes place in early February in Manly, the most visited beach in Northern Sydney. Many of the world's top surfers compete in the week-long comp. Finals this year took place over the Valentine's Day weekend and the crowds were out in full force to watch the athletes tackle the unpredictable waves. The sun was shining fiercely on the final day but the swell was messy and inconsistent, making it all the more challenging for the surfers battling for the title. Alongside the surf comp, there was also a skateboard comp and a mini music festival. These three tend to go hand in hand to provide a festival-type atmosphere for people of all ages. All in all, going to a surf comp is a good day (or few days) out at the beach, if you don't mind the crowds and have the patience to wait for a surfer to catch a good wave. Although competent surfers make it look easy, you can gain some appreciation of the difficulty of the sport by taking in a comp. Naturally, nothing is quite like trying the sport yourself! Rain + Music + Beach = Fun! Fans crowd the surfers as they come out of the water. Perfect opportunity for a selfie! Time to check the swell forecast and hit the waves! I can see you dancing already!